Narendra Modi Could Have Learnt so Much From G.D. Agarwal. But It's Too Late Now. While the PM proclaimed in 2014 that ‘Maa Ganga had called him’ and spent the next four years spending close to Rs 5,000 crore publicising himself and advertising his intentions, the other man led a life of near-obscurity working away year after year for the cause of a cleaner Ganga. The act of public fasting has been so completely reduced to political gimmickry in recent times that it barely registers in the public mind any more. Politicians, in particular, end up inviting derision more than anyone else for their token fasts, which normally don’t last more than a day (a recent case in point being Prime Minister Narendra Modi and Amit Shah’s high profile day-long fast earlier this year to “protest disruptions of the Budget session of Parliament”). So when news broke on October 11 that an 86-year-old Ganga activist had literally fasted unto death, protesting the government’s complete failure to make any real progress in cleaning up the river, it gave us pause. Perhaps it was the photograph of his gaunt, bearded and gentle face that so many of us saw for the first time, or perhaps it was the fact that he was an alumnus of IIT Kanpur who had left everything behind to become a Ganga activist or maybe it was the just the stark news that an 86-year-old man had died fasting for his beloved river, that stunned, moved and, yes, angered so many. Prof G.D. Agarwal (or Swami Gyan Swaroop Sanand as he later came to be called) had done something so few in public life have done in recent years. – he had kept his word. In a letter written on the June 22, he had simply and briefly informed the prime minister that “because you have not taken certain urgent steps to clean up the Ganga that I had expected you to take, I will fast till I die.” And 110 days later, he did. But the thing that has ended up staring us in the face the most – unwittingly perhaps – has been the contrast between the man who had written the letter and the man to whom the letter had been written. Although Swami Sanand called Narendra Modi “his younger brother” and addressed him with affection and firmness, just as an older brother would a younger one, the dissimilarities between the two men could not have been greater. The lives of these two men brings to mind a 1965 book called The Lonely Man of Faith in which the author, Rabbi Joseph B. Soloveitchik describes two opposing sides of human nature, indeed two different kinds of people, whom he calls Adam I and Adam II. Adam II on the other hand, has a serene inner character and a quiet but solid sense of right and wrong. Adam II sacrifices self in the service of others, lives in obedience to some transcendent truth and has a cohesive inner soul that honours creation and one’s own possibilities. While Adam I wants to conquer the world, Adam II obeys an inner calling to serve it. People with an Adam II character do not lead fragmented, duplicitous lives. They have achieved inner integration. They are calm, settled and rooted. Their minds are consistent and their hearts are dependable. And, as in the case of Swami Sanand, it is very easy to not even find out about these people, because they possess the self-effacing virtues of people who don’t need to prove anything to the world. They radiate a deep moral joy. They answer quietly when challenged harshly, they are silent when unfairly abused and they are restrained when others try to provoke them. But they get things done without thinking about what impressive work they are doing. In fact, they are not thinking about themselves at all. They just recognise what needs doing and they do it. The heart cannot be taught in a classroom intellectually, to students mechanically taking notes. Good, wise hearts are obtained through lifetimes of diligent effort. You can’t teach it or email it or tweet it. The job of the wise person is to swallow their frustration and just go on setting an example of caring and diligence in their own lives. What a wise person teaches is the smallest part of what they give. The totality of their life, of the way they go about it in the smallest details, is what gets transmitted. Prime Minister Narendra Modi could have learned so much from Swami Sanand. But it’s too late now. The man is gone. But the lessons of his life live on, if we will but care to learn. 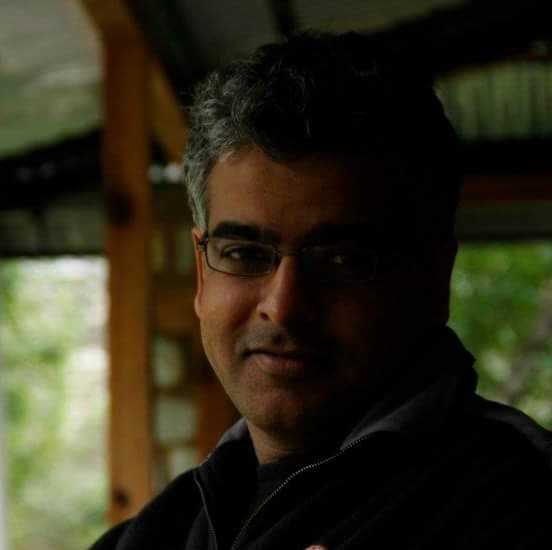 Rohit Kumar is an educator with a background in Positive Psychology and Psychometrics. He works with high school students on emotional intelligence and adolescence issues and helps to make schools bullying-free zones.